Water heaters are very important in people’s day to day lives and if your water heater breaks it can be very costly to replace. Follow these water heater tips to keep your water heater at its optimal level for a longer lifespan. Try to employ these water heater safety techniques as well. The best temperature for your water heater is in the range of 120 – 140 F. It has been investigated and found that 41% of home users keep their water heaters too hot by researchers at John Hopkins. However, making your water heater temperature too low can invite bad bacteria into your water heater responsible for Legionnaires disease. Although the chance of contracting this disease is very low if your water heater is at 120F, people with auto immune diseases can be at risk. A water heater’s recovery time is the number of gallons the water heater can provide in an hour following it being completely drained. This shows you how fast your water heater can heat water. Knowing your water heater’s recovery time is important as it can show you the health of your water heater if things go wrong and it can be used to see if a new water heater you are buying is right for you and your family. If you need a lot of hot water, the recovery time for your water heater should be higher, for example if your water heater is 60 gallons the recovery time should be as close to 60 gph as possible. It is recommended that every year your water heater be drained. You can do this by using the drain valve and allowing about a bucket or more of water to flow out of it. SAFETY TIP: remember this water is hot! If you can see a lot of sediment in the water that has been drained, it is recommended that a full flush be done of the water heater. Make sure you know the capacity of your heater and have adequate storage facilities for the water or a place where the water can run out safely via a hose. Remember to switch off the water heater before starting. Once the heater is drained completely, let new water flow through your heater and out of the valve to wash the heater through. Once it has been completed, remember to turn the water heater back on! Insulating your water heater with an insulation blanket can make it more energy efficient. 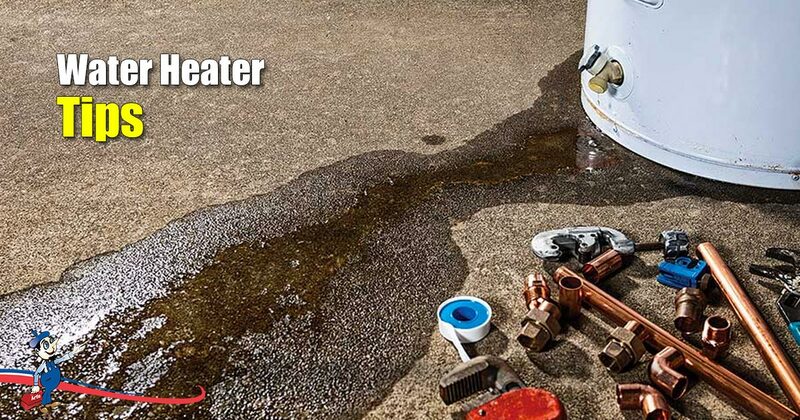 How well this tip will work depends on where your water heater is located, for example in an unconditioned space such as a garage will have your water heater maintaining hotter temperatures in summer, and colder temperatures in cooler months. The purchase of the blanket depends on how many gallons your water heater holds – the bigger the water heater, the bigger the blanket and vice versa. It is important to check your water heater annually for any possible problems. It is important to start in the same place every time, and look for leaks, rust and corrosion of the surrounding area. Try to get into the difficult places surrounding the water heater and if anything looks out of the ordinary, take a picture of it and look at it again later for comparison. It is very important to keep your water heater in check and to look after it properly. By following some of these tips, you should keep your water heater in better health and be able to detect a problem earlier before it is too far along, and the water heater may need to be replaced.